Sanjeeta has practiced law almost exclusively in personal injury since her call to the Bar in 2006. She’s a key member of our ICBC Injury Claims and Bodily Injury groups, with a focus on defending plaintiffs in motor vehicle claims. She has trial experience in the Supreme Court of British Columbia (both judge alone and jury trials) and has appeared as counsel in the British Columbia Provincial Court, Supreme Court Chambers and before the Workers’ Compensation Appeal Tribunal. Working on the plaintiff side, Sanjeeta’s time is dedicated to being on the front line for her clients. She takes a hands-on approach to all files, such that she is involved at every stage of the process—from the administration of medical and rehabilitation benefits prior to the commencement of litigation, all the way to successfully resolving claims by way of trial, negotiation or mediation. Sanjeeta embraces the opportunity to mentor young lawyers both within the firm and in the wider legal community. 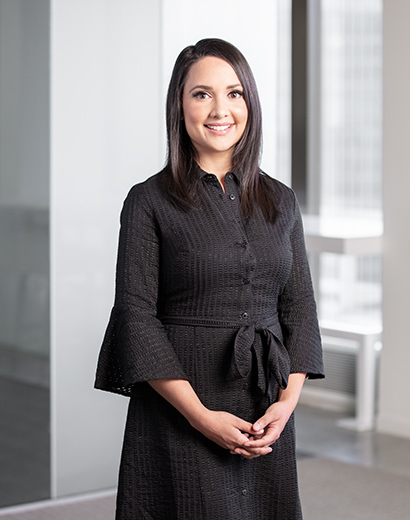 She volunteers her time to the next generation of lawyers through her involvement with the firm’s Student Committee, as a judge for UBC Law School’s First Year Moot Program and for the Mock Civil Trial component of the Professional Legal Training Course. More recently, she taught a workshop on litigation skills for upper year law students at Thompson Rivers University Law School. Sanjeeta also volunteers her time as a Broad-Based Admissions Alumni Reader for the University of British Columbia, a position which involves evaluating applications submitted by prospective students. Sanjeeta is available for consultation at both our Vancouver and Surrey offices.